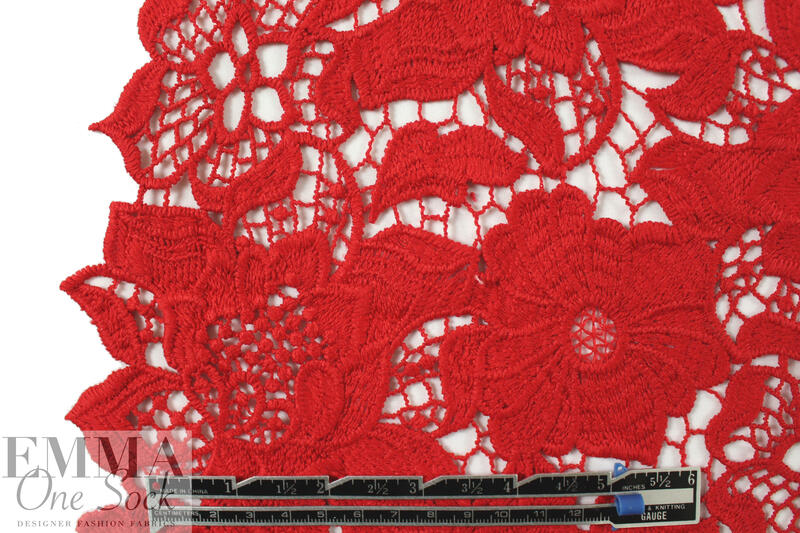 From Monique Lhui11er, this beautiful guipure lace is so elegant and classic, and the color is a classic red (PANTONE 18-1660). 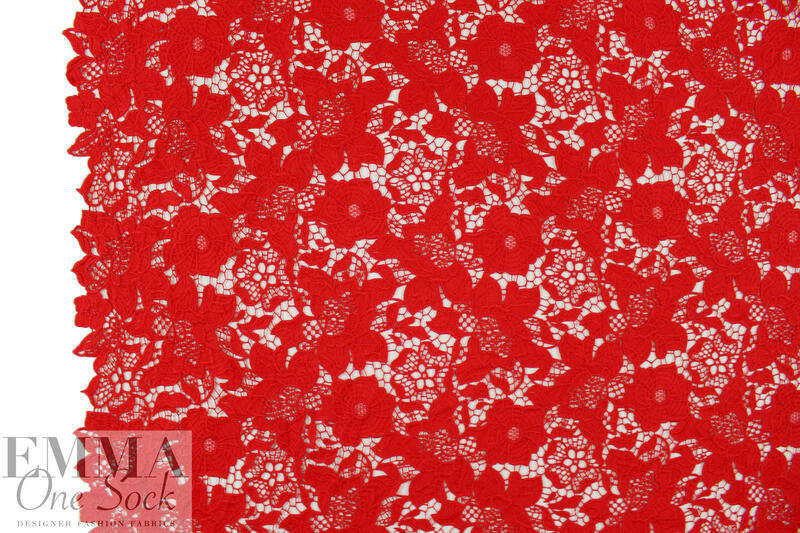 The floral motif goes all the way out to the edges to create lovely scalloped selvages. It has lots of texture and a matte finish. 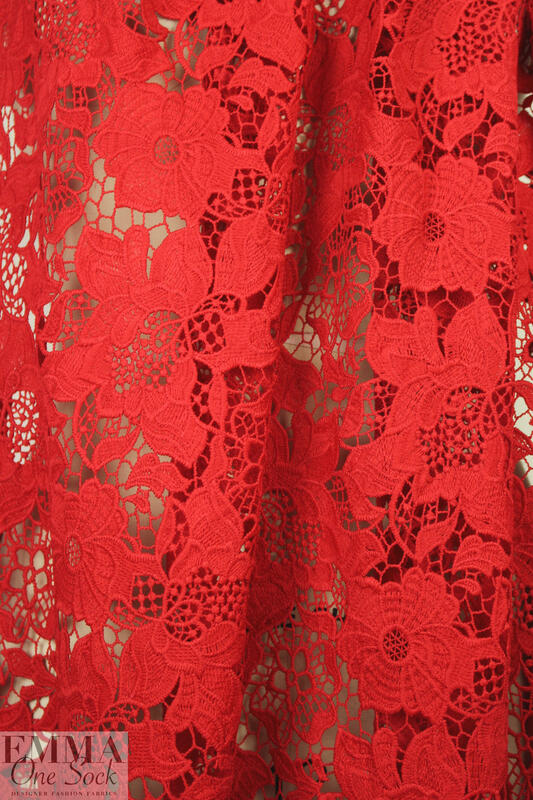 The drape has some body, no stretch, and it is perfect for any project calling for guipure lace: tops, tunics, dresses, skirts, jackets, etc. 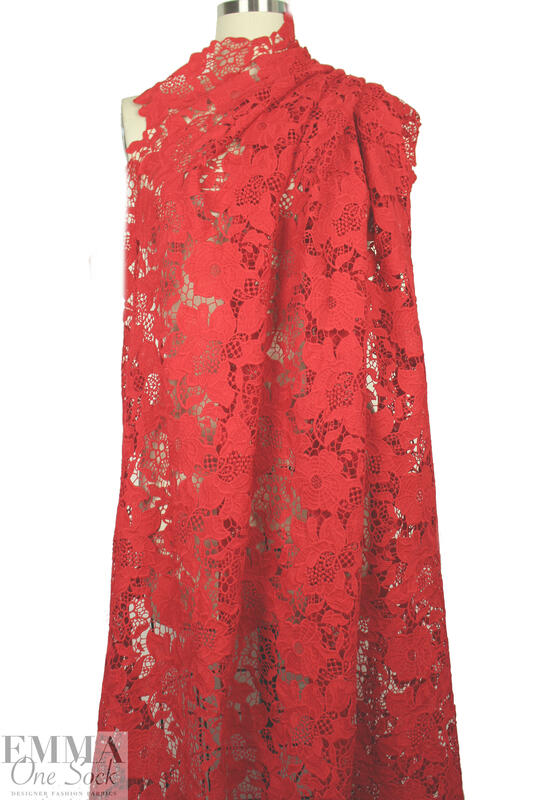 Some styles will need lining or layering. Dry cleaning recommended.